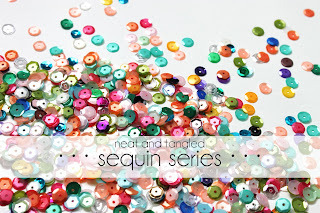 I'm so excited to be joining in this week for the Sequin Series over at Neat and Tangled. 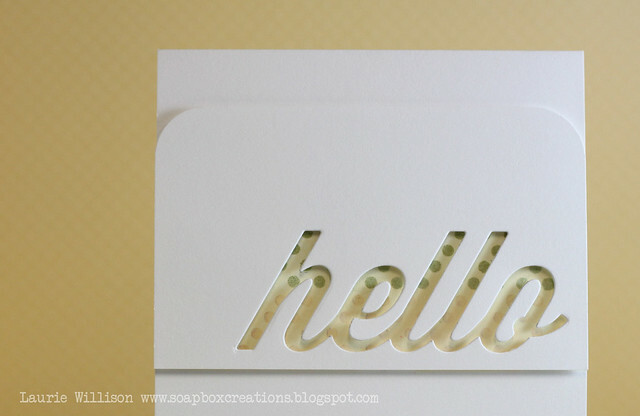 I have a fun little hello card to share today. 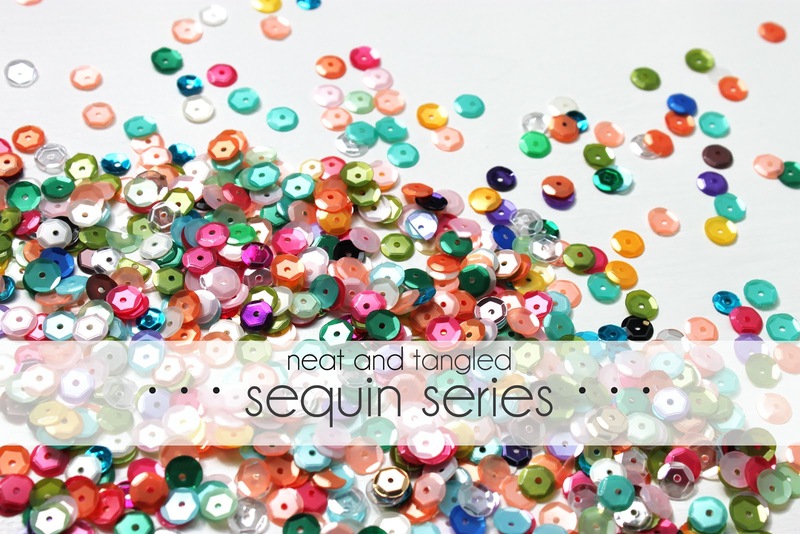 Stop by the Neat and Tangled shop to see all of their gorgeous sequins! Click HERE to check them out! You get 300 in a bag and there are lots of fun colors to pick from! Thank you so much for stopping in today! Have a great Tuesday! Just stoppin' in with a quick card I made awhile back. 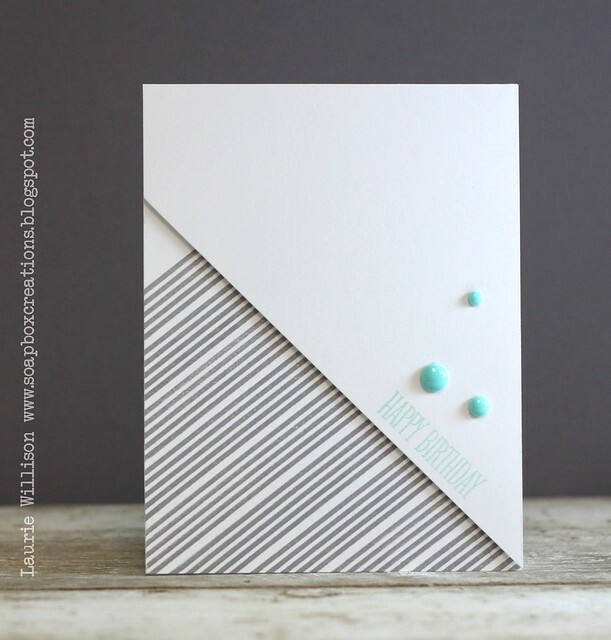 I used a little set from Studio Calico for this card. Happy Saturday! 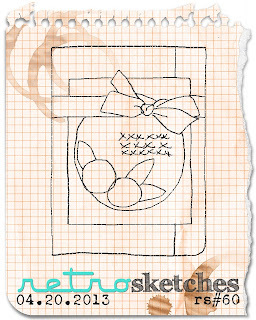 I've got a sketch card for you today. As always, it's been changed up a little! Hope you like it! 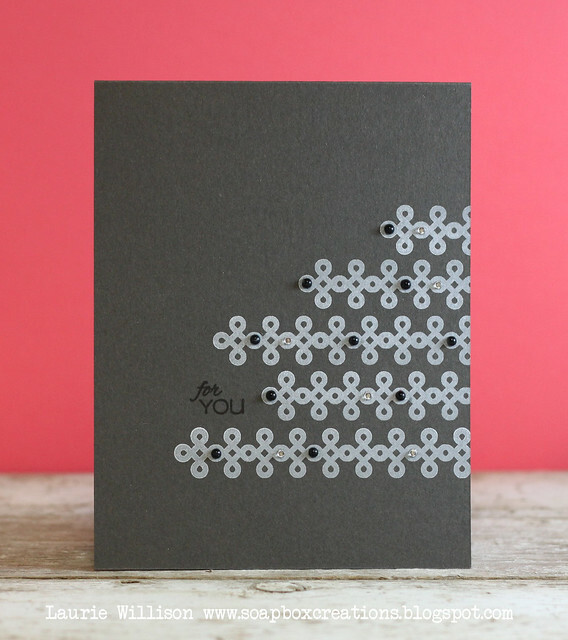 I masked off the base of this card and then stamped 2 rows of polka dots. One green and one yellow. Then I took a lighter yellow ink and sponged all over the polka dots just to change the background a little more. Then I die cut the top panel and attached it with foam tape. 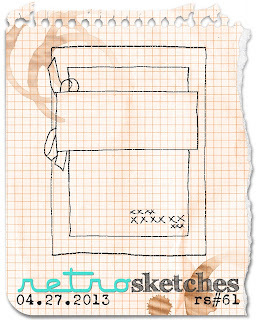 Stop by the RS blog to see the other sketch samples for this week! And don't forget to link up your card and play along! OK now I have a funny story that some of you might appreciate. I have to share! So I am sitting in the living room tonight, texting with my friend Amy and watching the Duck Dynasty season finale with my husband. I'm sitting there in the dark and I feel this little bump on my arm. I use the dim light from my phone to look at my arm and there is this black bump. I panic. I think it's a tick. I hate ticks. HATE. So I run and turn on the light. Guess what it is? A black pearl. Even funnier? I hadn't been in my craft room for a couple hours. I must have been wearing this little embellishment all evening! It made me laugh and reminded me of when I found a pop dot in my daughters diaper! Haha! Ok, hope you have a great day! Thanks for stopping in! I'm hosting the Diva Dare over at the Verve blog today! Today is Festive Friday! Did you know? Yep! Meredith over at FF asked me to join in this week and create a little something. Of course, I said yes and here I am! I used a bird die and cut it out of some cream felt. 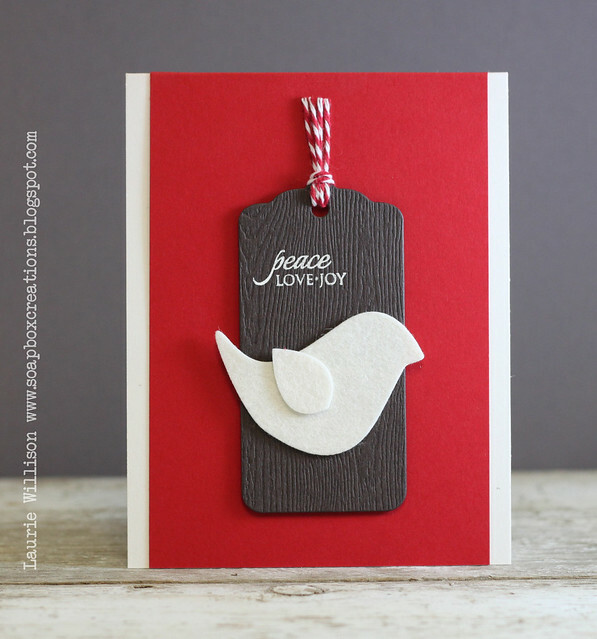 I used woodgrain paper for the tag and stamped a sentiment in Vintage Cream. I layered it up with some red card stock and on to a Rustic White base. I am so glad I got to play along this week! Now it's your turn. 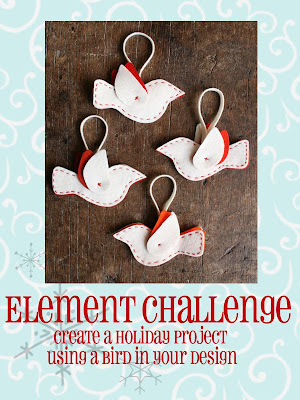 Create a project inspired by this fun festive picture and then go to Festive Fridays and link up your creation! Thanks for stopping in today! Have a fantastic Friday! I just bought a set from a friend called Super Stripes from PTI. I did sorta squeal when I opened up the package yesterday. Yes. I just got it in the mail yesterday and made this up right quick. 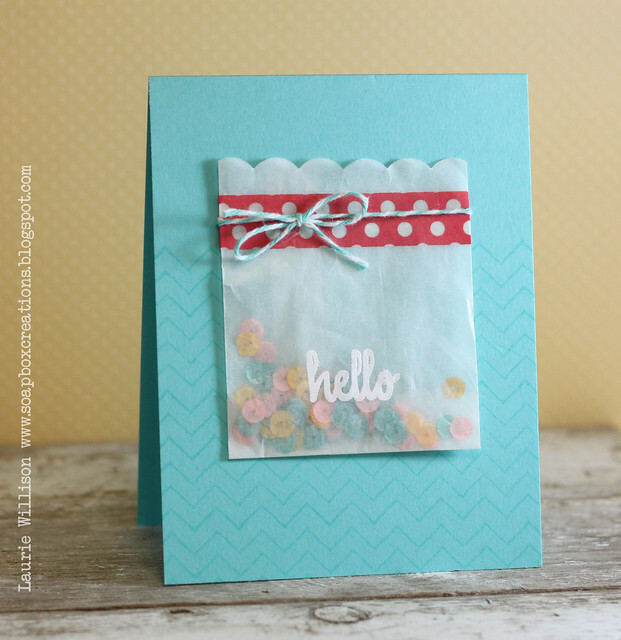 Just for today's blog hop! I used Amuse's Slate Gray ink...love. The sentiment is stamped in PTI's Hawaiian Shores. I added in some enamel dots too! I can't wait to see everyone's tilted cards! Such a fun trend! Thanks for stopping by today! Have a great day! 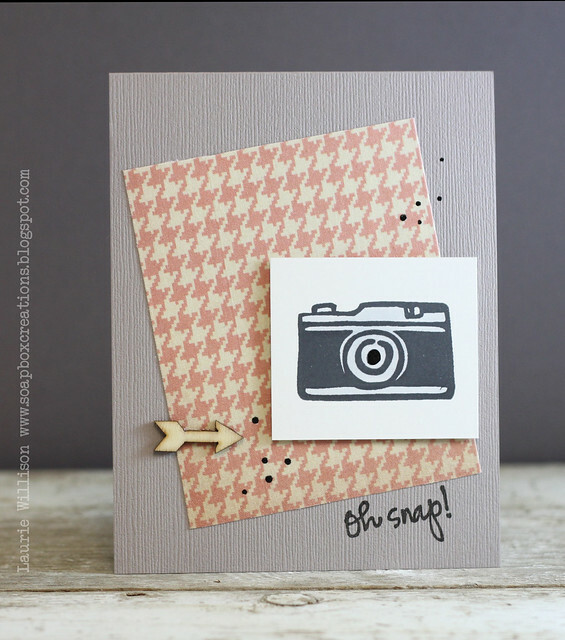 Today is my last day as guest designer for Avery Elle stamps! I want to send a big thank you to Jamie for having me! I have a little 4x4 card for you today, using Link it Up and Framed Fonts. 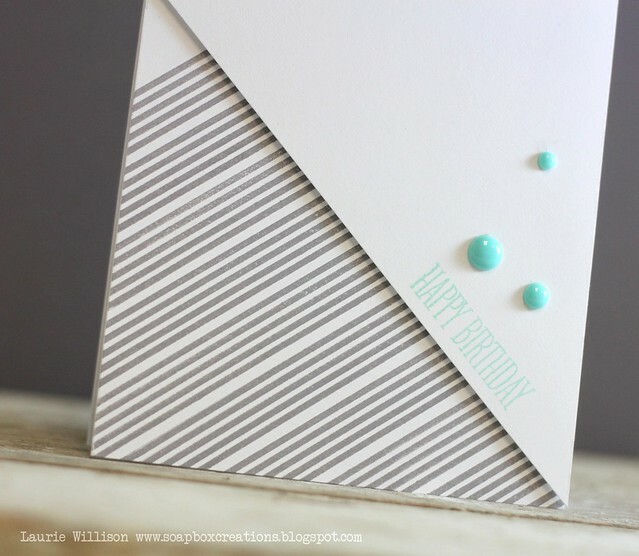 I stamped the border stamp using CTMH Slate gray and then stamped it off first, and stamped onto the card next. I make a little tag from the coral paper and then added in the sentiment. I finished it off with some white twine and a little wooden arrow. Hope you are all having a great week! Thanks for stopping in! 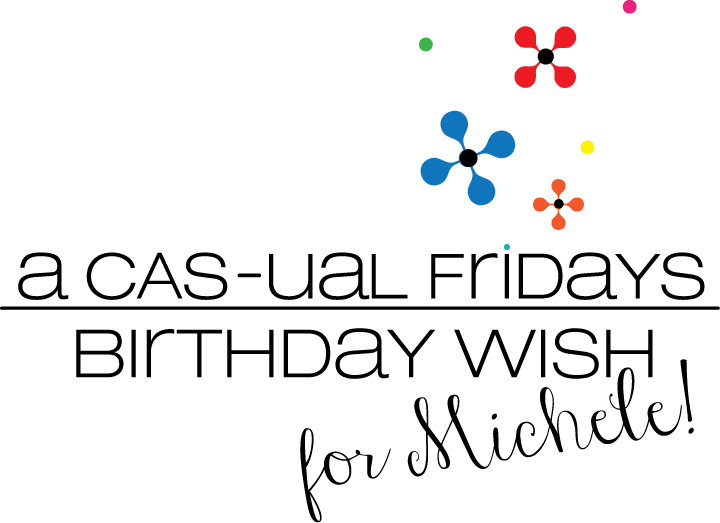 A CAS-ual Fridays Birthday Wish! 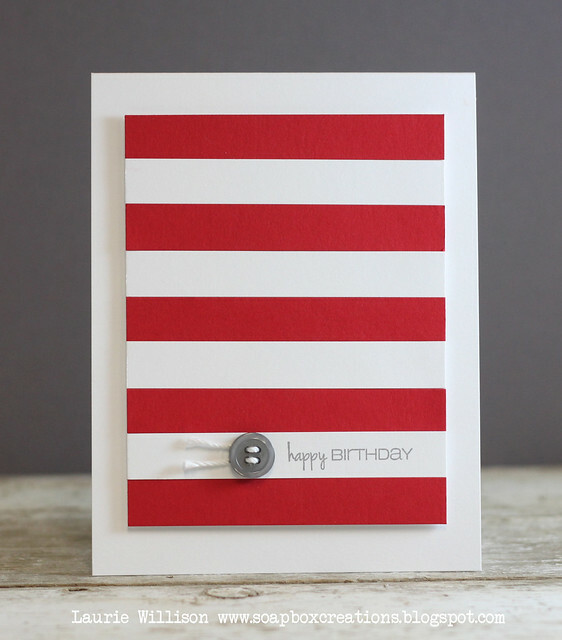 Red is my favorite so I am thrilled to send Michele birthday wishes using this color and some stripes today! I cut out 1/2" strips and then glued them down. I used a sentiment from WTF and then added in a little button and white twine. Happy birthday to you Michele! I hope your day is amazing! Thank you for everything!! What's the general consensus by now? Feedly or Bloglovin? I think they both have great apps for the phone but let me know if you love one more than the other! Here is a button for you bloglovin friends. 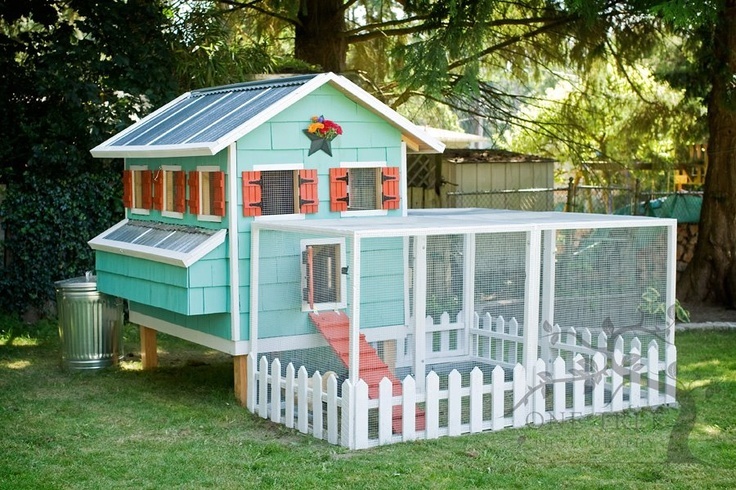 I have that one pulled up right now and am checking it out. ETA: I have loaded my google reader in to both Feedly and Bloglovin. VERY easy for both. Its nice too, because you can easily edit both and add or remove blogs to your list. One benefit of Feedly so far...you can comment right from Feedly. Nice and quick! Not sure if you can do that or not with Bloglovin but I thought I would stop back in here and let you know what I have found out so far. Thanks to everyone for their comments so far! This gray thing is not stopping here in my craft room. I am looking for a new favorite gray since I ran out of my last stack. This background paper is from CTMH and its pretty fun! 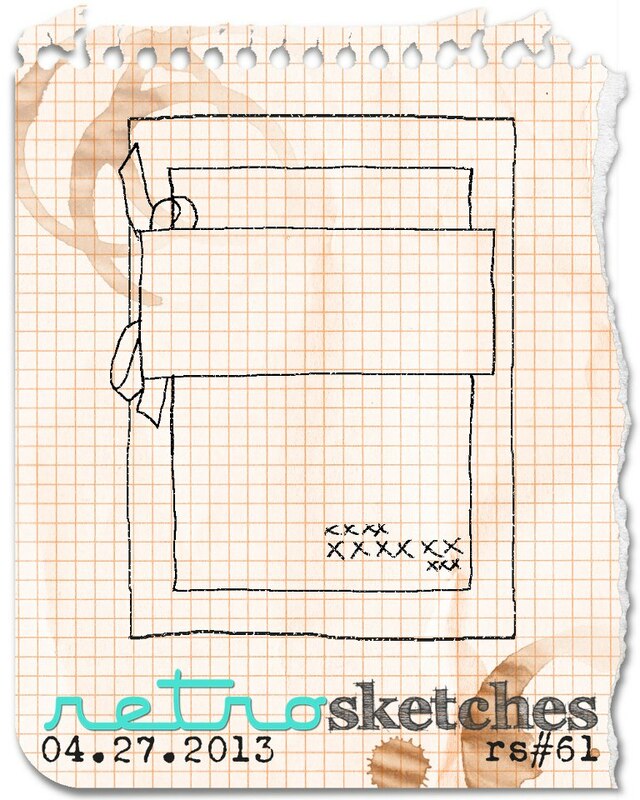 The girls at Retro have lots of fun to share....but I am sure you have already seen it since I'm behind here! :) Hope you had a great Saturday! 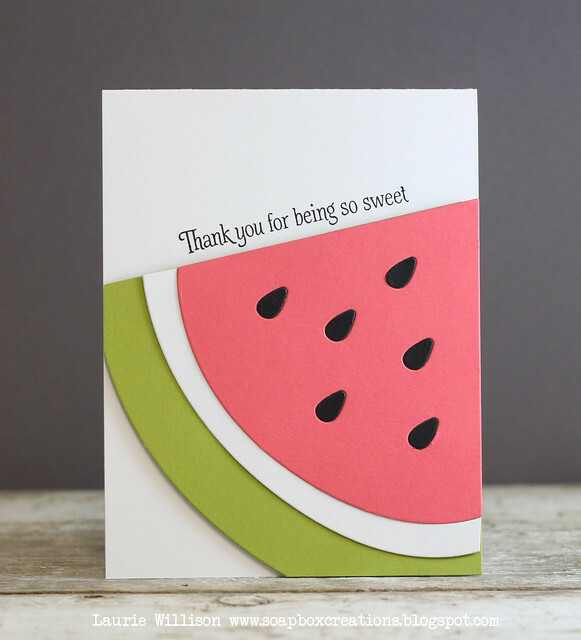 I used an Avery Elle sentiment that I thought went perfectly for this big slice of watermelon! My friend Jen and I are off to a little bazaar tomorrow. 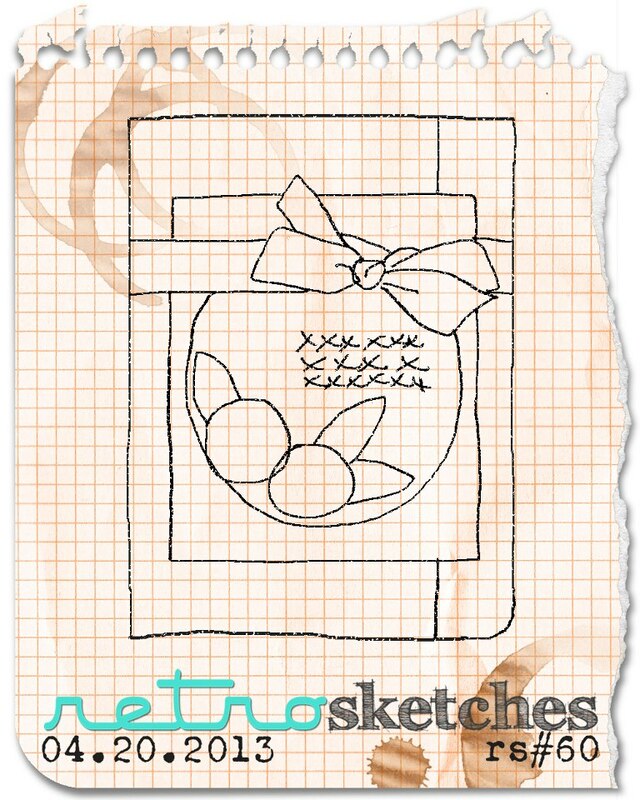 She is going to have her button rings and headbands and I am going to have my cards. If you are in the area, stop by! Wanna see what I just drove through? Yeah. 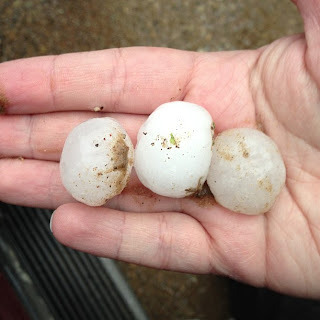 I know its not the biggest hail ever....but it did sound like it! My car is ok. Thankfully! OK, I am helping with Camp Physicals at church tonight for the kiddos, so I better get around and get busy! Thanks for stoppin in! Please scroll down to see my Avery Elle post for today! 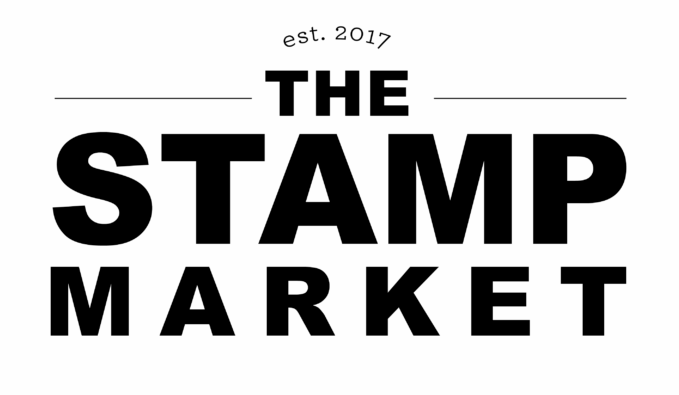 One more day of sneaks for CAS-ual Fridays Stamps. I have one quick card to share today! I have a little Avery Elle card to share today using 2 of the new sets! Link it Up and Bonjour. 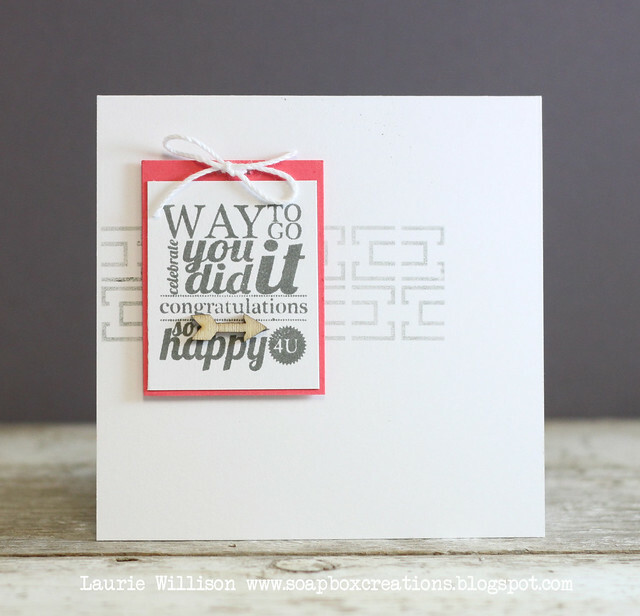 I heat embossed the link it up stamp and the sentiment in gold and then stamped one in pink. 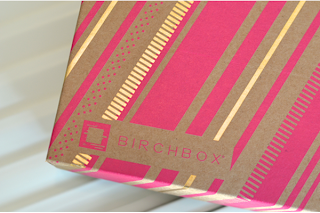 I get a Birchbox every month and this was the lid recently and where I got my inspiration for this card. Pink and Gold is so pretty right now! I've been back from vacation now for 3 days and still have yet to make a card. 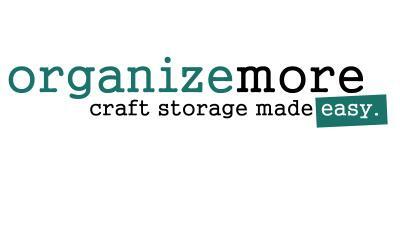 I can't wait to find some time to get back in here and make something! It's been 12 days! Yikes! But its been a nice break. Ok, I am off to work again! Hope you all have a great day! 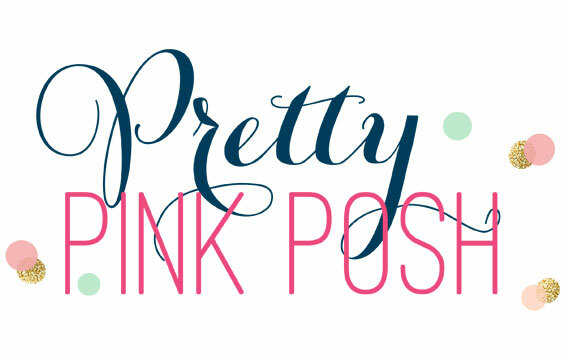 I am here today with another Avery Elle Guest Post. 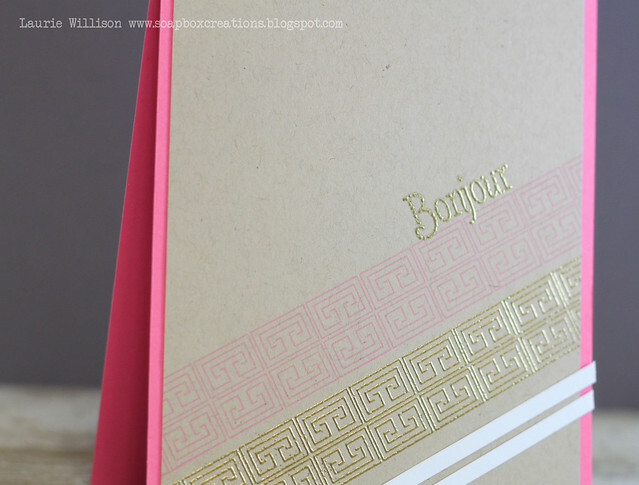 Today's card uses the new set called Bonjour. 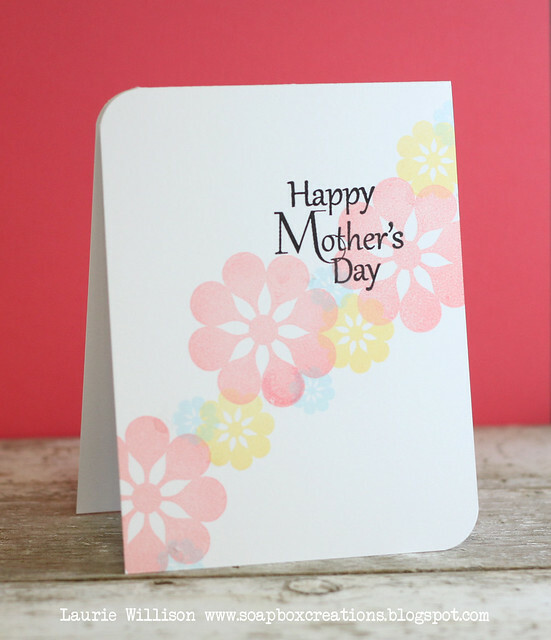 First, I flipped the border image from the set over, and stamped it on the card base with Versamark. More stripes. Diggin' those! :) On the tag die, I stamped 2 cookies and did a little masking. I stamped the outline in a darker color and the inside in a lighter but similar color. The sentiment I masked off so it could fit in too! I added a little bit of bling and some ribbon to finish it off. 1. 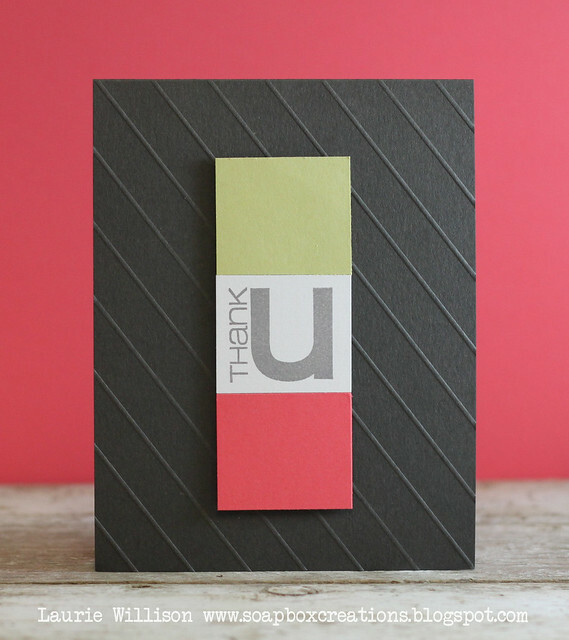 Stamp over the top of your stripes a second time when using Versamark for a slightly darker image. 2. Use a big block so you can see all around the stripe. This will help with lining up your stripes much easier! Can't wait to hear what you think! Hope you are having a great day! 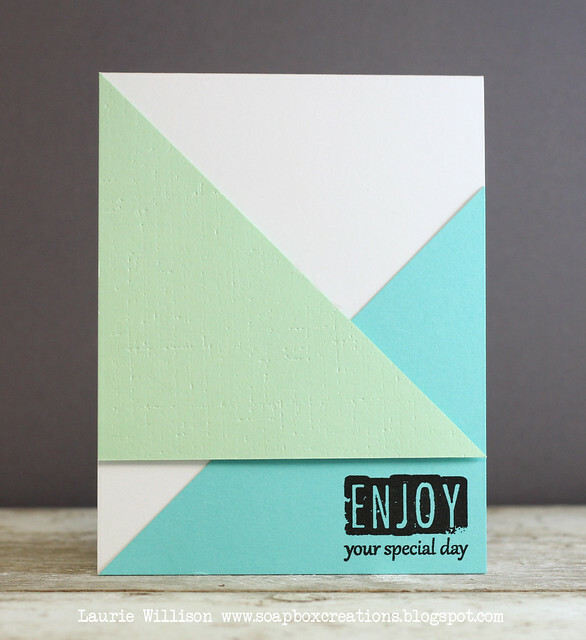 A card with some fun triangle detail and a great sentiment perfect for any guy! I stamped off these flowers so they would be nice and light and then added in the black sentiment so it would pop! And a CAS card. I added in the banner and some bling to finish it off! Hope you are enjoying the sneaks so far! 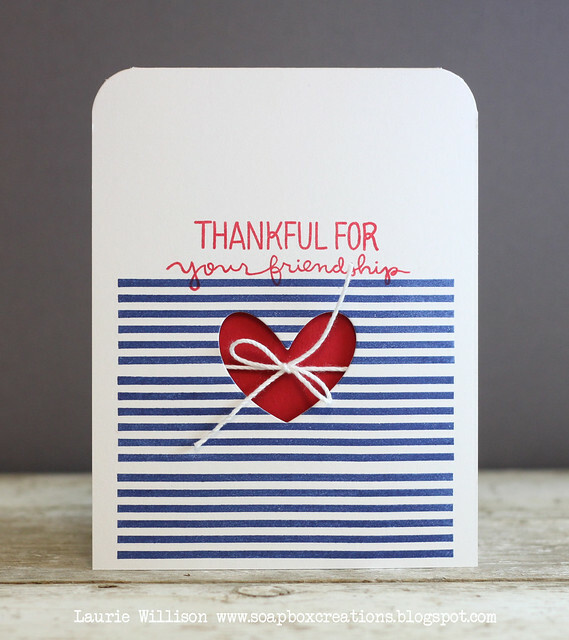 Check out the CAS-ual Fridays blog to see what the other girls have made up for us! It's the start of some fun sneak peeks over at CAS-ual Fridays. I am here with one for a new set called Stop. 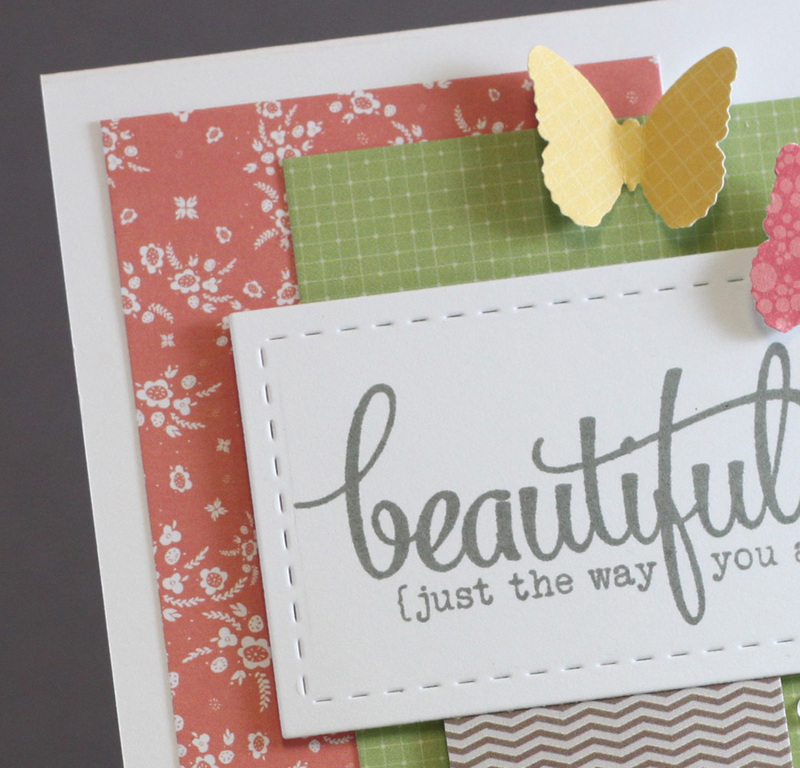 This set includes several fun sentiments and some great design elements. 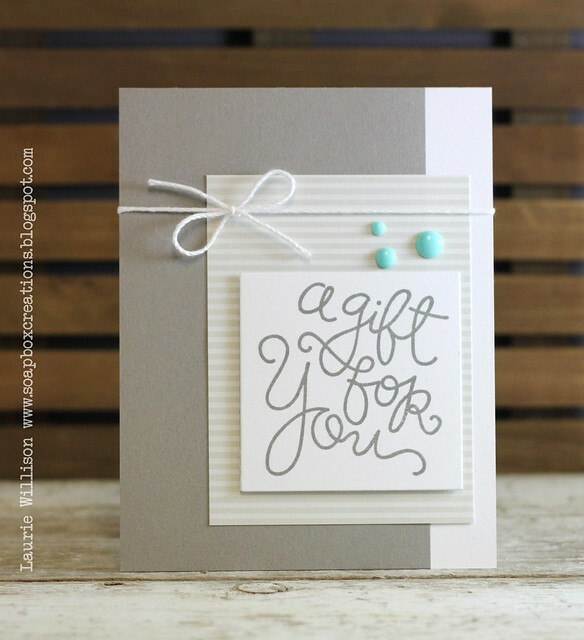 I stamped this border stamp in white ink on this gray card base. I added in a sentiment in black and some black pearls and silver rhinestones to finish it off. I know the rest of the ink squad has lots to share too! 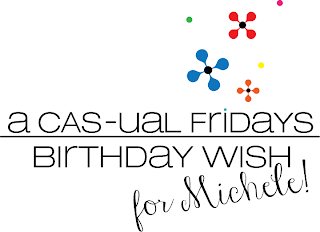 Stop over to the CAS-ual Fridays blog and see whats up! Can I just say how fabulous Bountiful Banners is from PTI? I know I sound like a broken record but again....the font...is fabulous! I haven't use the banners yet but I need to! 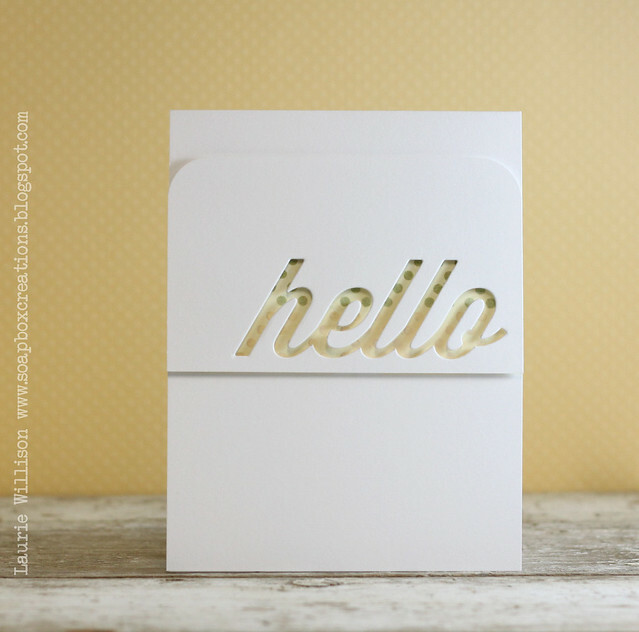 And the fun little shapes included are just too cute! 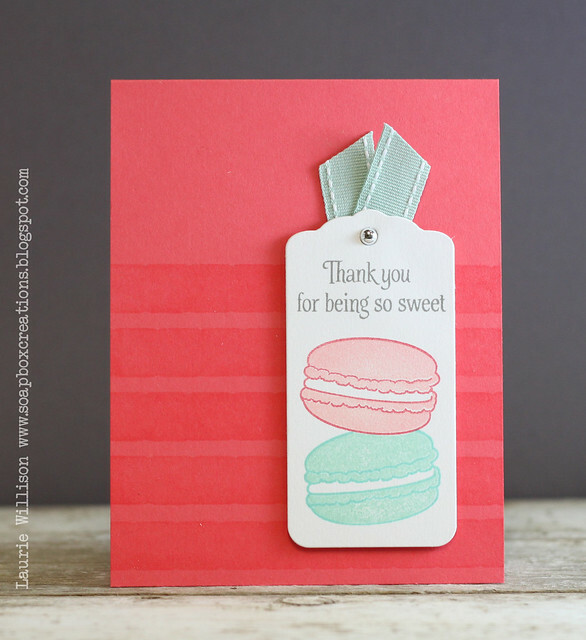 So for this card, I made a Berry Sorbet base and then added in the white top layer with foam tape. For the stripes...yes more of those...I used a black pen and a ruler. 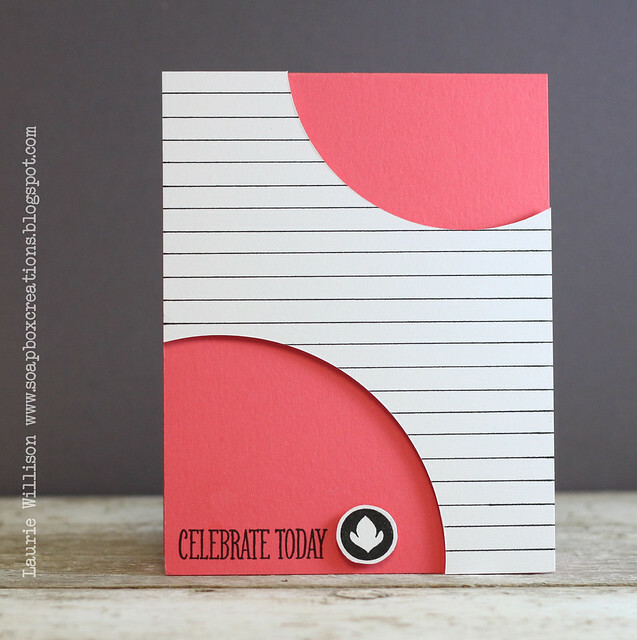 I took my Creative Memories circle cutters (from way back) and cut 2 different size chunks out of the card front. So any suggestions or advice would be helpful. :) I'll let you know how it goes! Alright, I am off to bed. Hope you all have a fabulous Sunday!